Choosing the right shotgunning instructor or coach is more art than science, as the instructors personality and teaching style are almost as relevant as his or her qualifications. But there are some guidelines that can help steer you in the right direction and ensure that your choice is as objective as possible. If you are a new shooter, a Level I instructor is the logical choice. Think of Level I as the entry-level stage where you should learn the basics of the game and shotgunning. This instructor will cover such topics as gun handling and safety, gun loading, eye dominance, leads, follow through, how the game is played, and what you should know before shooting your first round of sporting clays. If you’ve shot clays casually a few times but have never had formal training, you would likely start with a Level I instructor. 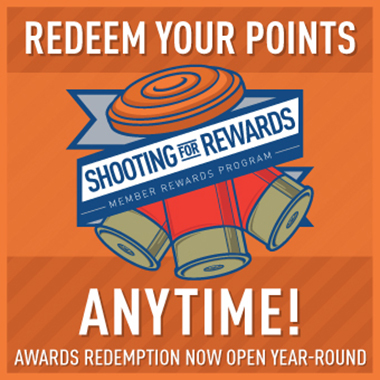 You might choose a Level I if you are going to a corporate sporting clays shoot and first want to become comfortable with gun handling. Even if you’re an experienced hunter but haven’t shot sporting clays, a Level I instructor would be a reasonable choice to teach you the game and help you make the transition to sporting clays. Level II instructors are for intermediate-level shooters. If you have already learned the basics from a Level I instructor or have been shooting sporting clays for a few years, you are ready to move to this level. Shooters are ready for Level II instruction when they need an extra boost to take their shooting performance to the next level. These instructors will help you break down your shooting into finer elements that can be tweaked and corrected. They will help you see what you’re doing right and wrong and how to increase your scores by several targets. Generally, Level II instructors are appropriate for C Class through A or early AA class. Once you’ve chosen a Level II instructor whose teaching style and personality are a good fit for you, it may be beneficial to work occasionally with that person over a long period of time as you progress through the class ranks. Some Level II instructors start with beginning shooters who want to learn the game and continue to train with the same person for a period of years. If you are serious about learning and improving your game and intend to engage an instructor on an extended basis, that can be a good approach. Level III instructors have undergone a great deal of training and are very experienced diagnosticians. They are more coach than instructor, working with the highest level of shooters, Master and AA class, who are serious competitors and need to improve on minute details. Shooters don’t go to Level III instructors to learn techniques or skills; they are looking to tweak their performance – either physically or mentally – and pick up one or two targets in a tournament. Some Level III instructors start with beginning shooters who want to learn the game from the most highly trained instructor and continue to train with the same person for a period of years. If you are serious about learning and improving your game and intend to engage an instructor on an extended basis, that can be a good approach. Does your local club have an instructor on staff or on call, or does it have visiting instructors that offer clinics periodically? Do you want private lessons or a clinic? Even if you feel intimidated by learning with other shooters in a clinic, don’t discount this option, if its available. You’d be surprised how much you can learn by watching the instruction of other shooters while you’re waiting for your turn to shoot. Visit the websites of any instructors you’re considering. You can learn a lot about how they do business and perhaps how they instruct. Have they made videos or written blogs or other instructional materials? While those aren’t necessary qualifications, if the material is there, you should review it. Ask other shooters for recommendations. Inquire about instructors teaching style and personality. Ask the instructor for references, and follow through with contacting them. If the instructor is insulted by this request, find someone else. Ask the references both what they like and what they don’t like about how the instructor teaches. Remember that just as our personalities and learning styles are distinctive, so are the instructors. A good choice for your friend may not be a good choice for you, and vice versa. Thats why its just as important to know what someone else does not like about an instructor; that offensive trait may suit you just fine. Talk in advance to any instructor with whom you’re considering booking lessons. This will help you decide if they are a good fit in personality. Tell the prospective instructor exactly what your level of experience and expertise are. Just as you are looking for a particular level of instructor, he/she is looking for a particular level of student. For example, a Level I instructor may not accept students who are Master or AA class, and it certainly isn’t beneficial to work with an instructor who is expecting to teach you the basics if you’re far beyond that. If you’re participating in a clinic, the instructor will try to group shooters of similar experience together. Shooters tend to overstate their experience, perhaps from embarrassment at admitting they are new to the sport or haven’t taken it seriously before. To get the most from your clinics or lessons, be as clear as possible about your current expertise. More information on picking the right coach may be obtained by contacting Chief Instructor Don Currie at 407-697-6236 or at nsca@doncurrie.com. Find a list of Instructors in your area.